Sinn Féin have nominated local councillor David Cullinane as their sole candidate in Waterford. 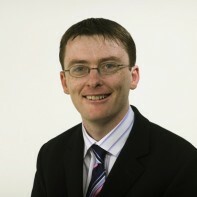 Cullinane was first elected to Waterford County Council in 2004 and secured re-election to the council as a representative of Waterford South in June 2009. This will be Cullinane's third general election campaign following his previous unsuccessful attempts in the constituency in 2002 and 2007. Cullinane lists My Cousin Vinny, The Shawshank Redemption and The Green Mile as among his favourite movies.